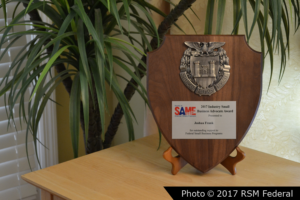 Joshua Frank, managing partner for RSM Federal, was awarded the 2017 Industry Small Business Advocate of the Year in Pittsburgh, PA at the Society of American Military Engineers (SAME) annual 2017 Annual Small Business Conference. 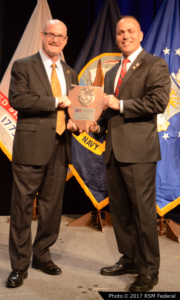 SAME’s membership is comprised of 30,000 professionals representing the uniformed services as well as numerous state, local and federal government agencies, nonprofit associations, academic institutions, and government contractors – all working to guide the future of the Architecture, Engineering, and Construction profession and its contributions to the protection of our nation. RSM Federal provides companies with products, services, and programs designed to help companies find and win more government contracts. Unlike bid-matching systems and services that are only geared at finding opportunities, RSM Federal’s flagship program, the Federal Access Program, teaches companies how to differentiate, position for, communicate competitive advantage, and win new government contracts. 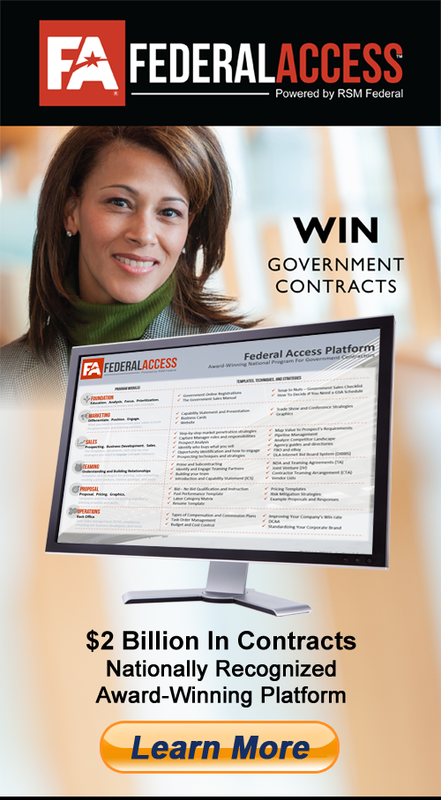 Federal Access (FA) has been highly successful with more than $1.8 Billion in contract wins for FA Members. Federal Access’ success is due to being one of the few services in the market that teaches companies how to engage opportunities with step-by-step techniques and strategies. 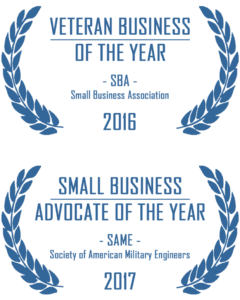 As a result, in addition to this award, RSM Federal was also awarded the 2016 Veteran Owned Business of the Year by the Small Business Administration (SBA).